Special provisions for use, bulk, parking and loading, mandatory sidewalk widenings and other urban design requirements are stipulated in the Queens Plaza Subdistrict to supplement the underlying pairs of zoning districts. Leaders in Long Island City, Sunnyside and Woodside are inviting the city to look their way to put up some of the 200,000 affordable apartments the de Blasio administration has promised to create or preserve. Conley penned a letter to city officials proposing four swaths of land that could be rezoned to allow for taller buildings and potentially denser developments with affordable housing set aside. They include part of Queens Plaza in Long Island City, a triangle in Woodside — bound by Broadway, Northern Blvd. 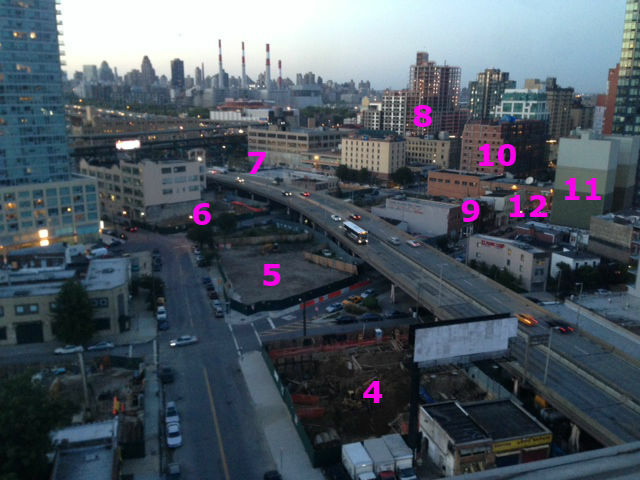 and the Brooklyn-Queens Expressway — and an area in Sunnyside near Northern Blvd. between 43rd to 48th Sts. Conley also proposed building on top of the Long Island Rail Road tracks on Woodside Ave. between 63rd and 65th Sts. Developers taking advantage of the new zoning would have to make at least 30% of their buildings’ units affordable, Conley said. The de Blasio administration promised a new era of affordable housing in New York, and their latest trick will be a first for the city. The Observer reports that the city is looking to give away the development rights, at no cost, to a developer who will build “an affordable housing program that maximizes both the number of housing units and the level of affordability,” according to the request for proposals issued by the Economic Development Corporation. The units would need to be permanently affordable and be available to a range of incomes, no greater than 165% of Area Median Income. No additional subsidy would be provided for the development. The sites in question are city-owned pieces of land beneath the Queensboro Bridge in Long Island City, and they can not be developed themselves because of the bridge on-ramps. The air rights would need to be used on an adjacent site within the same block and zoning district, but applicants do not need to already own an adjacent site. If the site isn’t adjacent, a zoning merger can let the new development be built nearby, on a pass-through lot. The largest side has 397,600 square feet of rights available, while the two smaller sites offer 66,366 and 30,533 square feet. Developers can submit proposals for all or a portion of the rights. Developers can also submit proposals for market rate developments, but then they’ll have to pay cold, hard cash for the rights. Originally filed as a nine-story residential build,5 the new permits in September called for 27-07 43rd Avenue to have 108 hotel rooms and nearly 50,000 square feet commercial space. Ivy28, located at 42-37 27th Street came to market back in April, but we haven’t heard much about it since then.12 From what we can see, no one is living there yet, so perhaps ModernSpace is waiting until the spring to kick sales into high gear. The boutique 28-unit building has apartments in the $500-600K range, and also has a ground floor retail space that is currently vacant. 24-12 42nd Road used to be home to an eyesore of a junk yard, but it was demolished in the middle of the year. The developers filed an application for an eight story build that contains 29,403 of residential space and 4,328 of commercial space. 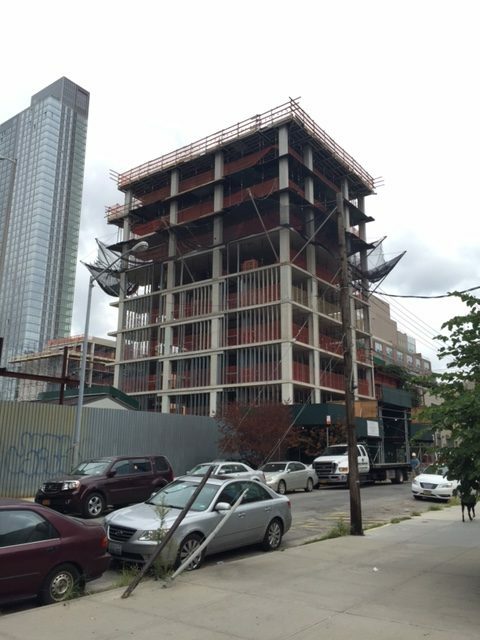 42-77 Hunter Street 11,845-square-feet of residential space (14 units) and 654-square-feet of commercial space.14 It topped out earlier in the year and some units went to market, but like with Ivy28, ModernSpaces is likely to wait until spring to amp up sales efforts. The LIC Clocktower located at 29‑27 Queens Plaza North was sold to a developer earlier in the year, and locals have sought to try to get the space landmarked. It may be hard to believe given the amount of construction in recent years, but more cranes could be on their way to Long Island City. City Hall is targeting the Queens neighborhood along the East River and just north of the Long Island Expressway for a possible rezoning that would promote the construction around Queens Plaza of more high-rise apartment buildings, including ones with lower rents. 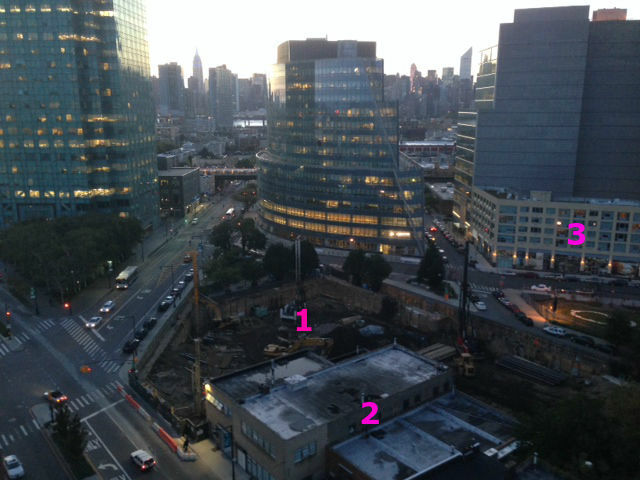 In 2001, the city rezoned 34 blocks of Long Island City between Queens Plaza and Court Square to spur residential high-rises while looking to maintain a mix of manufacturing and commercial space. 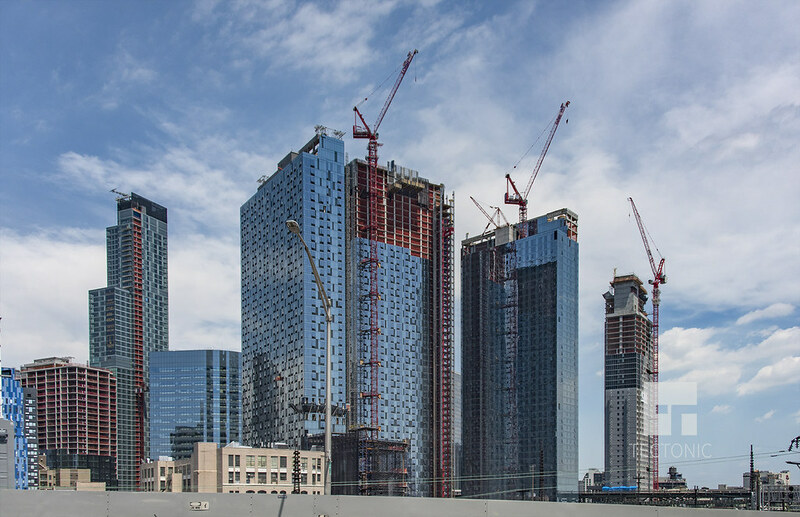 Since 2006, more than 8,000 units have been built in the neighborhood, and nearly 20,000 are under construction, according to the Long Island City Partnership, a nonprofit local development corporation. But in the eyes of some residents and community leaders, the changes have created an enclave of shiny towers that looks more native to Miami than New York City. 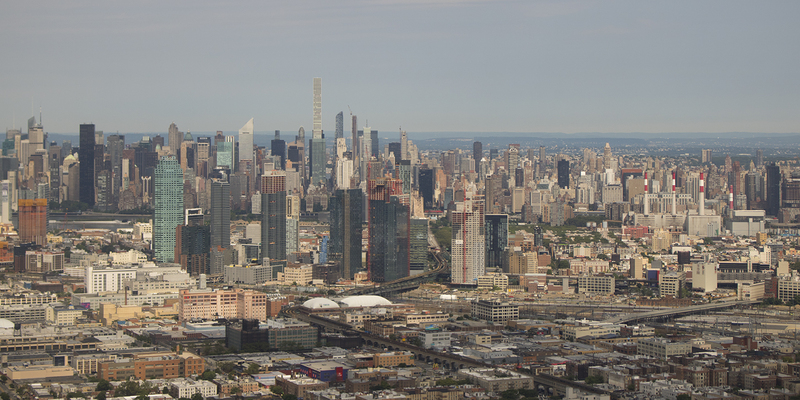 Median rents in northwestern Queens rose 5.9% to more than $2,800 a month in the past year alone, according to a report released Thursday by Miller Samuel Inc. and Douglas Elliman Real Estate. “At the beginning people really wanted to see development, but that’s going back 25 or 30 years. But now that development is exploding that’s a different story. I think we really need to step back,” said Lisa Deller, chairwoman of the local Community Board 2 land-use committee. The community board asked the planning department to study adding more density to the neighborhood, with the understanding that the department would also review issues such as schools and transportation. The Department of City Planning is starting a study of an approximately 100-block area that includes the Queens Plaza and Court Square neighborhoods as well as adjacent sections of Jackson Avenue, Northern Boulevard, and Queens Plaza. Long Island City is one of 15 neighborhoods that New York City is looking to rezone, in part to require that additional affordable apartments be built. The plans to encourage more high-rise development have the support of City Council Majority Leader Jimmy Van Bramer, who represents the area. Mr. Van Bramer said he also wanted to ensure that development is accompanied by improvements to schools, transportation, space for technology companies and affordable housing for artists. In 1989, Citigroup, the financial services giant, erected New York City’s tallest tower outside Manhattan in Queens, where city officials hoped to establish a new commercial district. A few years later, the bank, once the largest in the world, put up a second, smaller building next door. But the office district in the Long Island City neighborhood never quite caught on. Now, Citigroup is selling an adjacent development site that will most likely house an apartment complex in what has become one of the city’s hottest residential neighborhoods. The bank could receive as much as $150 million for the site, nearly one acre bound by 44th Road, 23rd Street and 44th Drive in Court Square, according to real estate brokers. Construction cranes rise on seemingly every corner in the neighborhood as developers rush to meet the demand for housing. 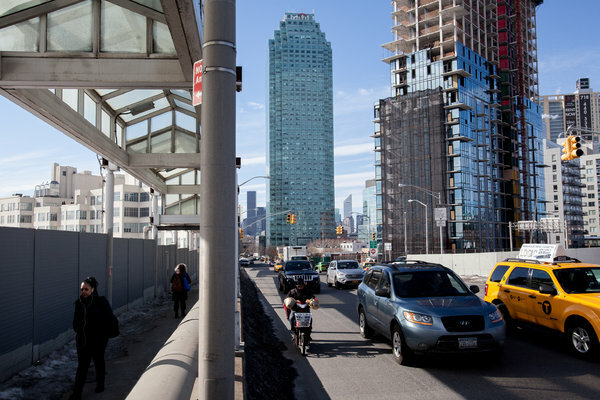 Housing construction is also a priority for Mayor Bill de Blasio, whose administration plans to rezone Long Island City to spur additional construction. The neighborhood, which is well served by public transportation, has become an appealing place to live because of its proximity to Manhattan. Didn’t know where to put this, but here it is, Two Gotham Center, one of the first after One Court Square…what a long time. wow thats nice…whoever did this should do it again now, it changed even more. 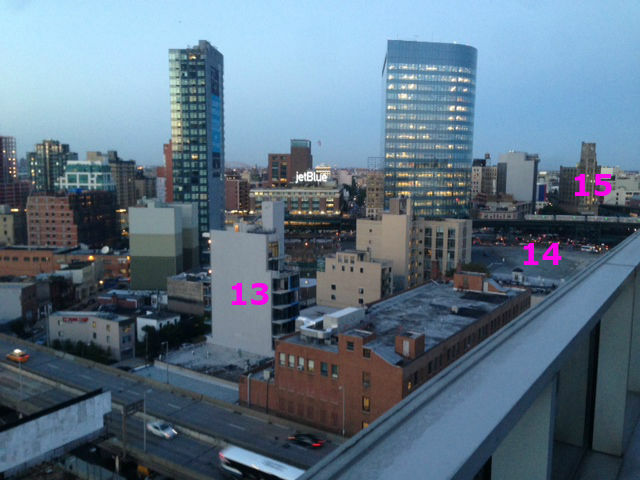 This just shows how fast LIC is changing. Aw man, you were across the river today? I was at the park to the left of your 3rd shot. Where you by any chance sitting at a bench? I saw two men and overhead talking about skyscrapers today when I was taking pics? I was riding passenger in the traffic. photo by Asok Thirunavukarasu, found on flickr.